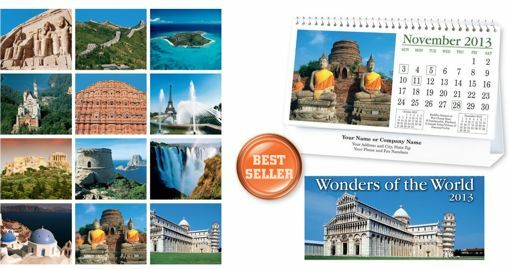 Cheap Personalized World Tourism Tent Desk Calendar, Customized Wholesale. "Wonders of the World". Spiral Bound, 12 Beautiful full color pictures of famous world landscapes, Free custom imprint on both sides.